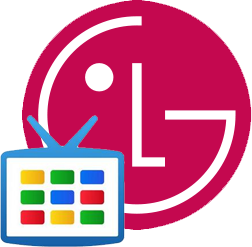 Following a statement of distaste for Google TV (at least in its present form) from Logitech's CEO Guerrino De Luca, an intriguing rumor has sprung up that perhaps Korean manufacturer LG is set to try their hand at Google TV, debuting a GTV-enabled set at CES next January. Bloomberg cites "two people with knowledge of the project" as sources for this information, maintaining the informants' anonymity by request. LG, as the world's second largest television manufacturer, could prove to be a hugely important ally for Google in bringing Google TV to a level of success that will ensure its continued competition with other companies seeking to be the ultimate solution in combining internet and television (ahem, Apple). It's worth mentioning that the head of Samsung's TV arm, Yoon Boo Keun, also indicated interest in joining the Google TV game back in February. If Google is able to attract these manufacturers and wow consumers with the platform's latest iteration on an equally impressive device, Google TV may just have a shot at seeing not only success, but staying power as well.